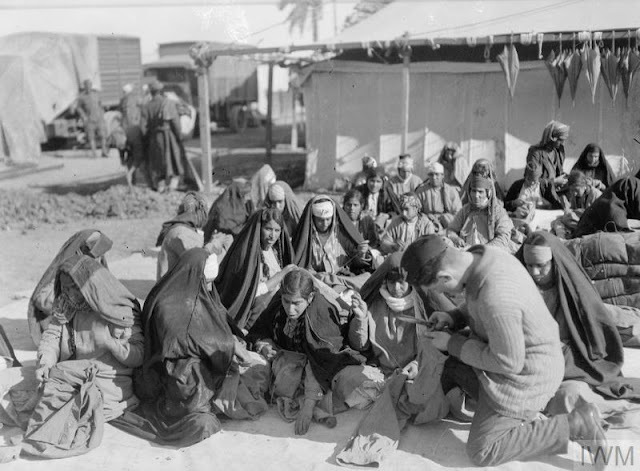 During World War I, the British Army and their Indian allies suffered a devastating defeat in Kut, south of Baghdad. The Ottoman army laid siege to the British force from December 7, 1915 to April 29, 1916. Thousands of soldiers died in combat and from disease. and after the British surrender, more soldiers died in captivity as they were marched to Aleppo in Syria. 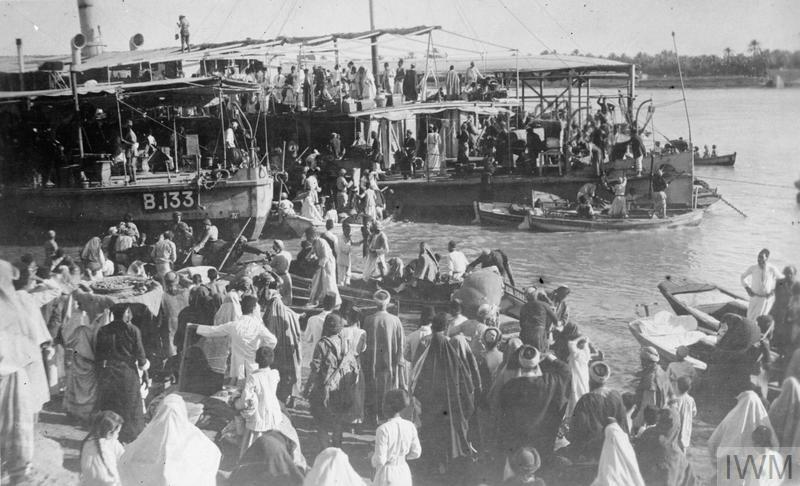 The British recaptured Kut in February 1917. 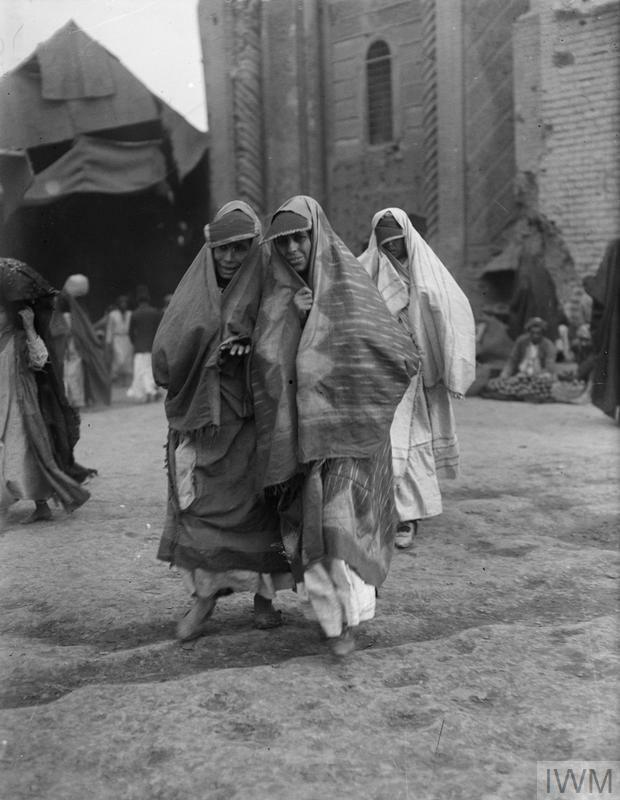 That is the historical background to a series of photos of Jews in Amarah found in the British Imperial War Museum. 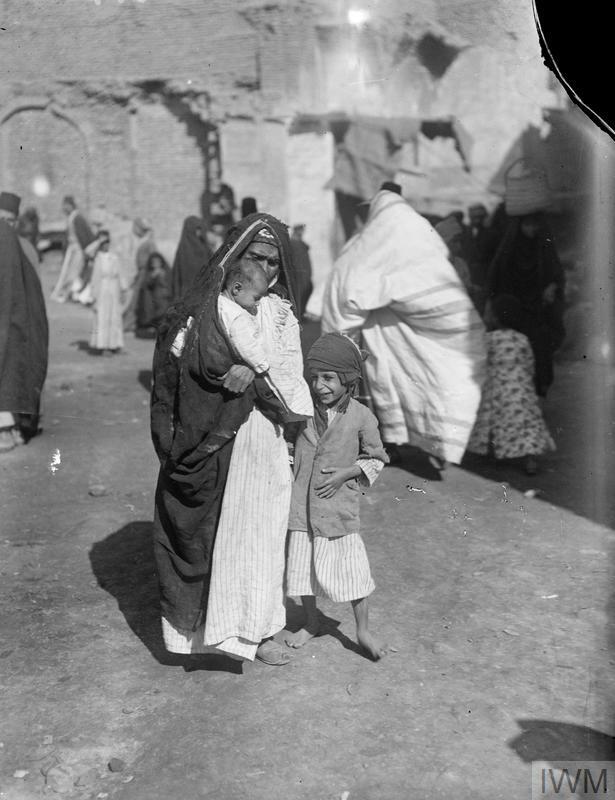 "Amara" in the IWM photographs is "Kut al Amara" or just "Kut" of World War I battle reports. 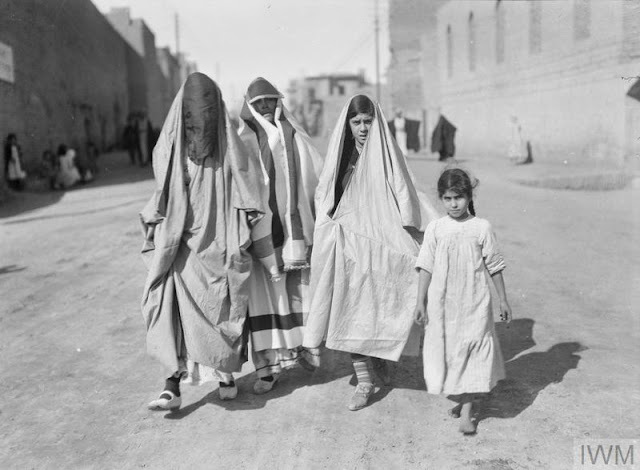 Click here to see previous postings on the Jews of Baghdad, Iraq.